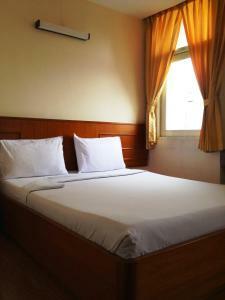 Muangphol Mansion is conveniently located within a 2-minute walk to National Stadium BTS Skytrain station. Offering simple air-conditioned rooms, the property features a 24-hour front desk, a tour desk and an internet station in the lobby. The hotel is a 4-minute walk to MBK Shopping Centre. It is a 10-minute walk to Jim Thompson Museum, Siam Square and Siam Paragon Department Store while Temple of Emerald Buddha and Grand Palace are a 20-minute drive away. Suvarnabhumi Airport is a 1-hr drive from the property. 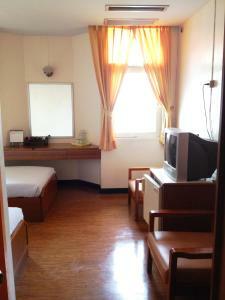 Rooms at Muangphol Mansion are fitted with a cable TV, a refrigerator and a telephone. 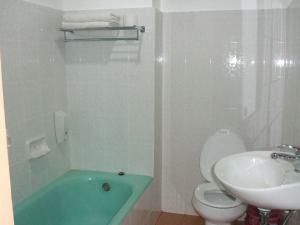 Hot shower facilities and a hair dryer are included in an en suite bathroom. For guests’ convenience, the hotel offers a variety of services including laundry and luggage storage. Fax and photocopy can be made at the front desk. The hotel’s restaurant serves Thai and western cuisines, as well as beverages. 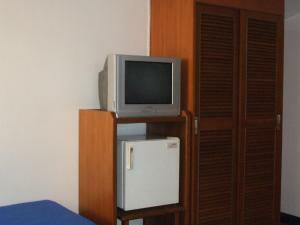 Air-conditioned room is fitted with a cable TV, a refrigerator and a telephone. Hot shower facilities and a hair dryer are included in an en suite bathroom. 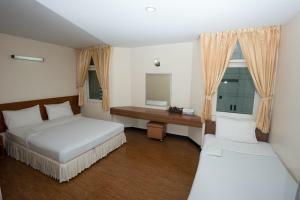 Rate: THB 1030.00 ... THB 2080.00; select dates below to get current rates. 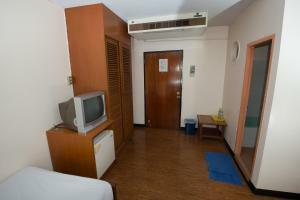 Larger air-conditioned room is fitted with a cable TV, a refrigerator and a telephone. 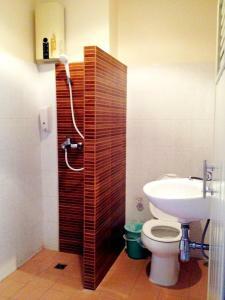 Hot shower facilities and a hair dryer are included in an en suite bathroom.